Green Irish Tweed Type handmade artisan soap has a manly fragrance from the Emerald Isles. Clean any dirt, grime or dust thoroughly, but gently. Buy this bar for the best shower experience. Green Irish Tweed Type handmade artisan soap is a masculine, upscale fragrance for men, and ladies love it! It has notes of French verbena, fresh lemon peel, Florentine iris, Dublin Ivy, green violet leaves, Mysore sandalwood and musky ambergris. The scent is clean, elegant, naturally luxurious, manly and classy. The color of this handcrafted bar is a gorgeous green, like the Emerald Isles. Green Irish Tweed is a luxury handmade soap for body, hands or the face. Use in your shower or bath for the best refreshing and cleansing experience. Green Irish Tweed soaps are made with the old fashioned and well tested European method. They leave your skin clean and soft and are beneficial for any type of skin. My soaps are made with natural and wholesome ingredients. I use moisturizing olive oil, coconut for gentle cleansing, castor oil for creamy bubbles and natural beeswax for a harder bar. The cold process method of soapmaking makes handmade soaps gentle and mild. All of my handmade soaps have a balance of hard and soft oils so you get the best of both worlds; a harder bar that last longer and lots of soft creamy lather. Green Irish Tweed Type Handmade Artisan Soaps are well cured, so they will last longer in your bath or shower. Keep your soap out of standing water puddles and let it air dry between uses, so it will last longer. Treat your skin with kindness and buy Green Irish Tweed Type handmade Artisan Soap. Purchase for yourself, your favorite Irishman or give a bar as a unique gift. 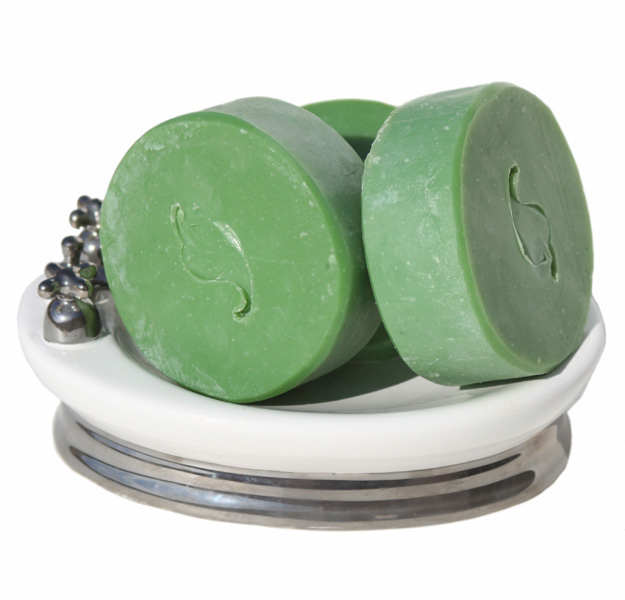 If you like Irish Spring type bars, you will love this soap! Ingredients: Olive oil, Coconut, Palm Kernel, Mango Butter, Castor oil, Soybean, Sodium Hydroxide, Beeswax, Fragrance, Sodium Lactate, Green Oxide.